DAKAR – As Africa’s leaders pursue state-of-the-art technology that can provide more affordable, reliable, accessible, and sustainable power for the continent, GE Power’s Gas Power Systems business today unveiled a whitepaper focused on gas turbine technology that can ensure a cleaner and safer operation while accommodating a high penetration of renewable energy sources. Co-authored by GE gas power technology experts John Ingham and Monamee Adhikari, the whitepaper presents the advantages of using aero-derivative turbines which include better quality grid firming, cleaner power with lower emissions and cheaper power. Aeroderivative gas turbines offer a variety of fuel options which provide the capability to harness fuels from different sources and to switch between fuels when economically preferred without shutting down. They also yield better efficiencies through rapid response to grid frequency fluctuations and combined cycle capability which results in better use of fuel. Lube oil consumption is 200 times lower when compared with reciprocating engines for example. Aeroderivative gas turbines provide lower emissions and much smaller footprint, therefore, ensuring cleaner power and freeing land for other uses. They also allow for better integration of intermittent renewables to the grid, by providing a more stable grid through excellent frequency control. “The role of technology in achieving affordable and reliable power is essential. Aeroderivative gas turbines yield excellent efficiencies from installation to maintenance making it an appropriate solution for faster, cheaper, cleaner and more stable power,” said Elisee Sezan, CEO, GE’s Gas Power Systems business, Sub Saharan Africa. “Going forward, there is a need to adopt such technologies that will make access to power sustainable. With our expertise and experience powering the world with best-in-class gas portfolio, GE is best suited to help energy leaders and stakeholders achieve their objectives.” he further added. Due to their small size and modular nature, aero-derivative gas turbines can be transported, installed and commissioned very quickly. 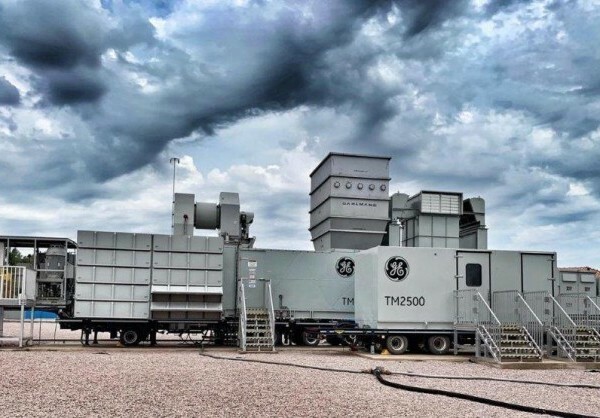 The TM2500 generator set is trailer mounted and can be installed faster than traditional power plants, making it ideal for short- and long-term energy planning, stabilizing the grid, or powering remote locations. With more than 100 million operating hours over the last 45 years and up to 44% simple cycle efficiency and 56% combined cycle efficiency with fast startup, high ramp rates, and outstanding cycling capability, aeroderivatives provide flexible and reliable power generation.